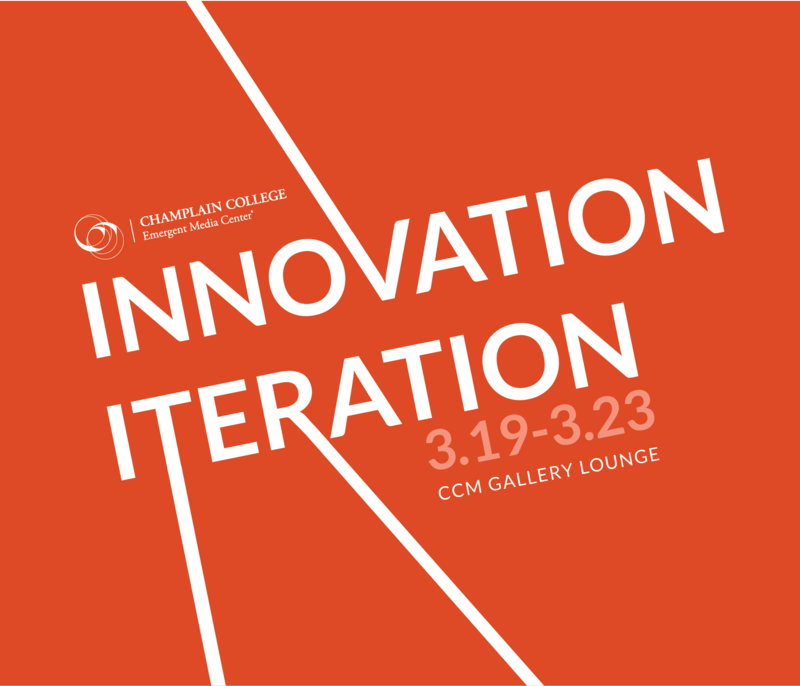 Starting March 19th, the EMC will be hosting a week-long interactive exhibit which will focus on two of the EMC’s core values: innovation and iteration. The exhibit will take place in the CCM Gallery Lounge on the Champlain College campus. We will be showcasing a wide range projects: both past and currently in-progress. These projects will be presented in varying stages of production to allow the public an exclusive look into the process of what goes on behind the scenes at the EMC and a better understanding of our unique, iterative process. This exhibition features the cross-disciplinary skills of our students, employees and team members and reflects the diversity across the divisions we cultivate. An interactive and imaginary game that uses an ordinary cardboard box as a controller. 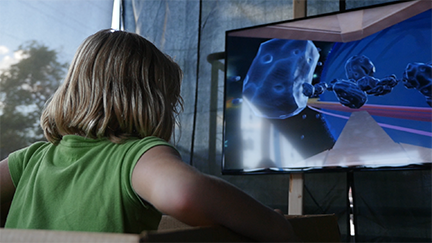 The Sandbox team, who worked on the project, designed this game to blur the lines between imagination and reality to allow for a child-like, imaginative, and playful experience. The player simply sits in the box and shifts their body weight side to side, traversing a meteor shower throughout outer space. The flaps of the box are used to control a blaster and force field which allows the player to combat enemy fleets. This project was most recently displayed at the ECHO Leahy Center for Lake Champlain and the Chicago Design Museum. A narrative game developed for social good that uses soccer as a global language to educate players about Violence Against Women and Girls (VAWG), gender equality, and respect. BREAKAWAY was originally designed for the United Nations Population Fund as a part of the UNiTE Campaign to end violence against women. The game has been played in 180 countries, translated into 4 languages, and has recently been translated to multiple mobile platforms that can be downloaded and played for free! 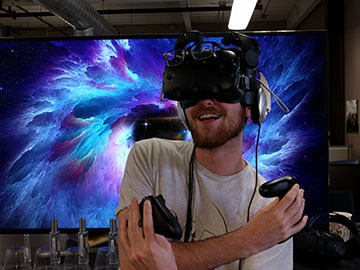 The EMC collaborated with two local Burlington businesses – Alice and the Magician, and Matt & Erik Design to create this groundbreaking olfactory VR project. This project is not a game – but rather an explorative full-sensory environment – allowing the user to discover new scents and objects as they traverse a new reality. EDEN made its debut at last years BookStock and the Burlington Book Festival. 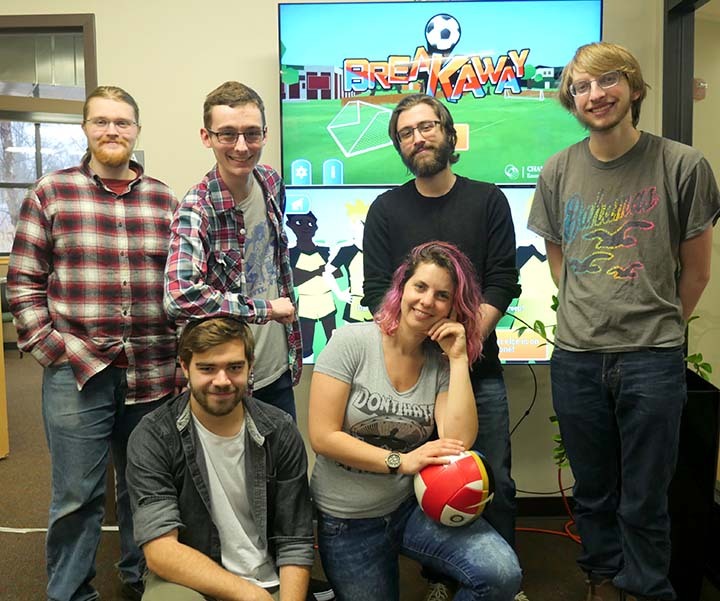 The EMC’s Sandbox team members created a game exploring how preconceived gender notions can be initiated by game interface and language choice. These choices can both intentionally and unintentionally program the player to develop certain ideas about gender and promote certain stereotypes. 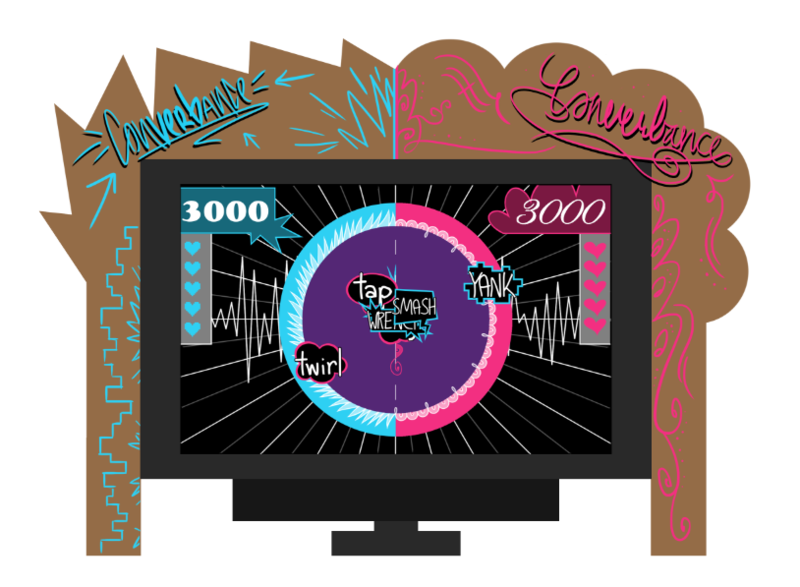 This interactive, experimental game will make its first-ever debut at the upcoming EMC exhibit, Innovation Iteration. The opening event will take place from 4-6 PM on Wednesday the 21st. The event will be catered and there will be a VIVE (virtual reality system) available for guests to try out the EDEN olfactory experience for themselves! The EMC is so excited to show everyone who we are, what we do, and how we do it!